Join Us at the 2011 Waste Management Conference! Find us in Booth #503 for a chance to win $50 at the 2011 WM Symposia held in Phoenix, Arizona. You’ll find information about how American Crane and Equipment can turn your material handling challenges into well designed solutions. 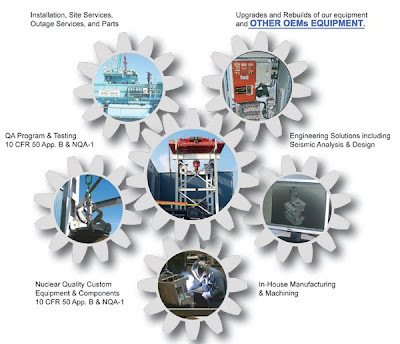 We are your complete source for high quality specialty lifting equipment including Nuclear Material Handling Solutions for current plant needs and the next generation of nuclear power plants. For more information call us at 1-800-877-6778 x224 or click on our home page.